Beijing: Nepal's new prime minister KP Oli has said he wants to deepen ties with China to explore more options and get more leverage in his dealings with India "in keeping with the times". Oli, widely regarded as pro-China, also said he wants to "update" relations with India "in keeping with the times" and favours a review of all special provisions of the India-Nepal relations, including the long-established practice of Nepalese soldiers serving India's armed forces. 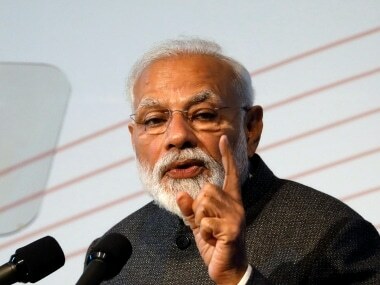 "We have great connectivity with India and an open border. All that's fine and we'll increase connectivity even further, but we cannot forget that we have two neighbours. We don't want to depend on one country or have one option," he told Hong Kong's South China Morning Post in an interview. About how he plans to work out relations with India, Oli said, "we've always had excellent relations with India. There were some elements in the Indian establishment that caused some misunderstanding, but Indian leaders have assured us that there will be no interference in the future and we will respect each other's sovereign rights". 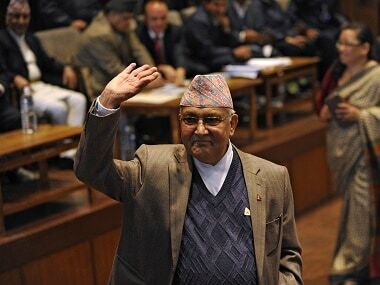 Oli, 65, who had also served as the country's prime minister from 11 October, 2015 to 3 August, 2016, was forced to resign following the political crisis in the Himalayan nation over the Madhesi issue. Madhesis, mostly of Indian-origin, had been demanding amendment of the new Constitution to address concerns over their representation in Parliament. Before Oli's inauguration as the prime minister for the second time, External Affairs Sushma Swaraj had visited Nepal and met him and other Left leaders. Prime Minister Narendra Modi also spoke to Oli. 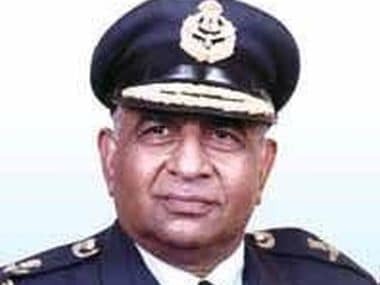 About Nepalese serving in the Indian Army, Oli said,"This should be internally and mutually discussed and corrected, if necessary. We live in a new world, and Nepal is starting a new journey, we have to update whatever is considered outdated and bring it in line with the modern era." Oli also said he would revive the China-backed USD 2.5 billion hydropower project which was scrapped by the previous government. Expectations are high in China about Oli's government as he signed the Transit Treaty with Beijing during his first stint as prime minister in 2015 to end dependence on India for his landlocked country to revive the Budhi Gandaki project. The dam project was scrapped by the previous government headed by Sher Bahadur Deuba citing irregularities. China has been investing heavily in Nepal, blunting India's influence in the Himalayan country. Oli justified his decision to build the dam with Chinese company saying that "our petroleum usage has been increasing but we import all of it. We urgently need to develop hydropower to reduce our dependence on petroleum." 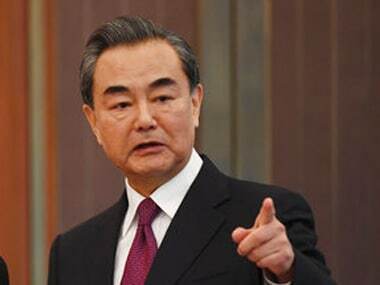 He sees infrastructure development as an important means to narrow the distance with China, whose physical remoteness compared with next-door India is a hindrance to deeper China-Nepal relations, the paper said. He also spoke about improving rail and road network between Nepal and China through Tibet. "Once China brings its rail network up to Shigatse and then Kyirong in Tibet, it should be easy to extend it to Nepal. It's lower altitude than Tibet and the terrain is actually sloping all the way down from Kyirong,"
"Apart from that, three roads are under construction connecting China and Nepal, which should be ready in a couple of years. 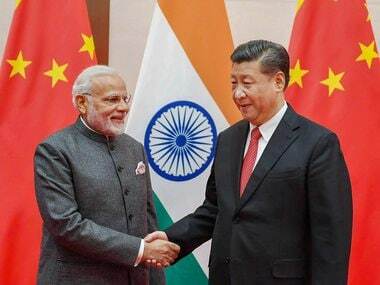 If we can connect this railway network to our east-west rail project, it can revolutionise China-India trade, with Nepal in the middle," he said. China aims to extend the Qinghai-Tibet railway to the Nepal border by 2020 and has expressed interest in extending it to Kathmandu. Kyirong in Tibet is about 25 kilometres from Nepal's Rasuwagadhi border transit point, which is 50 kilometres from Kathmandu.